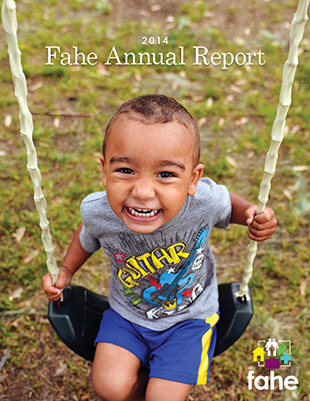 Fahe, formerly known as "The Federation of Appalachian Housing Enterprises," is a regional nonprofit network headquartered in Berea, KY, working to eliminate persistent poverty in Appalachia. Over the course of it's 30 year history, Fahe has positively impacted the lives of over 450,000 under-served people through affordable housing, job training, leadership cultivation, and economic development. Aesop Studio has supported Fahe in their mission through the design of all of their marketing materials since 2010. These materials include but are not limited to: annual reports, brochures, internal forms and documents, annual conference materials, fact sheets for members of Congress, a Style Guide, promotional products, social media graphics, and even a freshly redesigned logo to reflect a new multi-faceted approach to fighting poverty. Aesop Studio's creative director, Emilee Stites first began working with Bloom Magazine as a production artist in it's infancy in 2006. She returned to the magazine as Design Director in 2016, overseeing the design and layout of the entire magazine and all of Bloom Magazine and magbloom.com's marketing materials. In 2018, the magazine was awarded 15 Best of the Best Indiana Journalism awards from the Indiana chapter of the Society of Professional Journalists. In 2019, she stepped down as Design Director, but still works with the magazine in a consulting capacity.